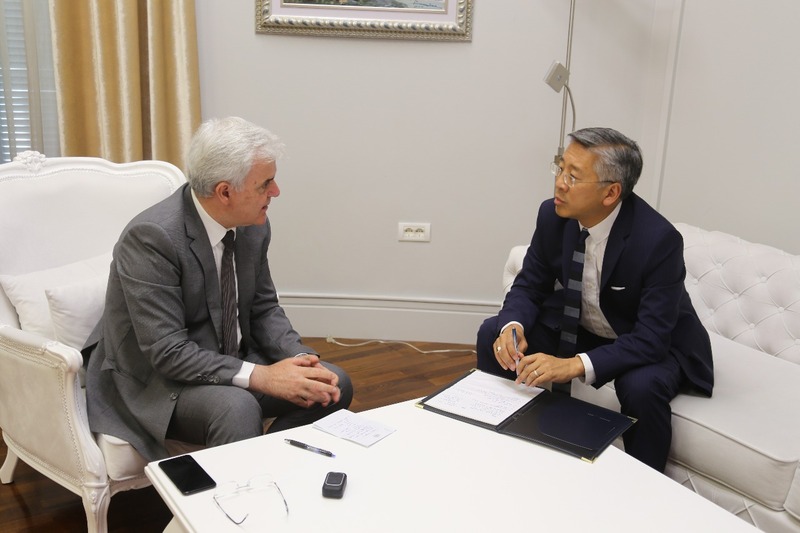 Following weeks of debates on the audio-recording made public about the brother of the Interior minister, Fatmir Xhafaj, comes the reaction of the US ambassador, Donald Lu. In a declaration issued on this issue, he has demanded an investigation to take place on the accusations launched by the opposition against the minister and his brother, in order to verify the authenticity of these recordings. “I have closely followed the accusations launched against minister Xhafaj and his brother, Agron Xhafaj. The facts, the evidence and the authenticity of the audio-recording deserve to be investigated independently. But, this is not a reason for police and prosecutors not to continue their efforts to arrest dangerous figures belonging to organized crime. Time has come for Albania to finish what is has already started”, Lu said. Yesterday, Lu has held a meeting with the Interior minister, Fatmir Xhafaj. During this meeting, Lu is reported to have praised the work of the ministry of Interior and the State Police. According to him, it’s very important for police to be motivated in order to continue their fight against organized crime. In this context, he expressed the strong support of the United States of America and other partner countries for the ministry of Interior and minister Xhafaj in their efforts to offer citizens more order and security. Lu encouraged the minister to produce more results in the fight against organized crime, because, according to him, this is what citizens expect from State Police. On his part, minister Xhafaj briefed him on the results achieved by police in this war.